Here is a previously struck U.S nickel that was overstruck by Chilean dies. 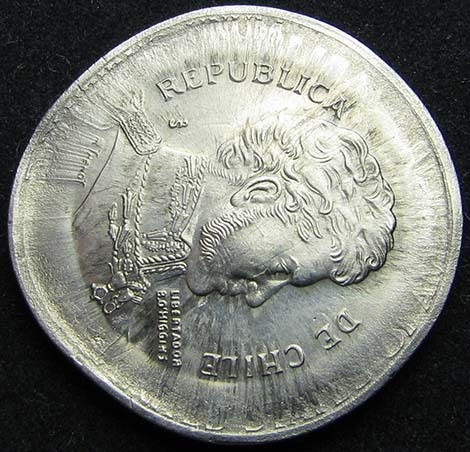 Dated 1977, the Jefferson nickel was overstruck by 2008 10 pesos dies! 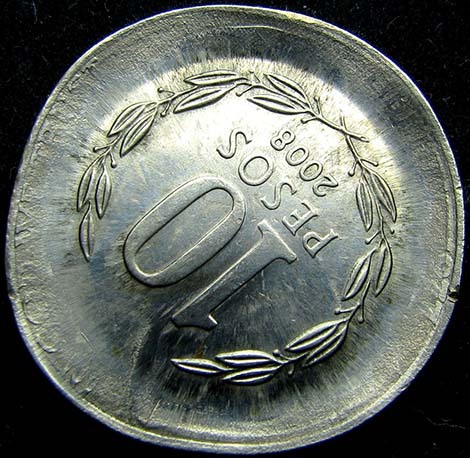 This error likely occurred when the nickel was tossed into a bin containing 10 pesos planchets at the Santiago mint. 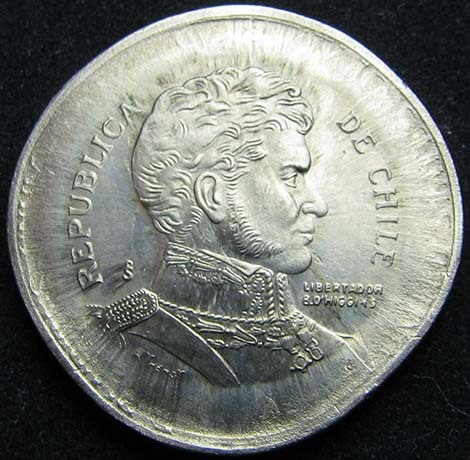 The nickel obverse was overstruck by the 2008 Chilean reverse die. While President Jefferson’s portrait is mostly obliterated the numerals of the date 1977, letters of IGWT and LIBERTY are clearly seen. The 1977 Jefferson nickel reverse was struck by the 2008 Chilean obverse die. While most of Monticello was obliterated the upper letters of E PLURBIS UNUM are clearly seen. Most letters of U.S.A. are clearly visible. This unique overstrike was also struck outside of the collar resulting in a huge broadstrike exceeding 27mm. 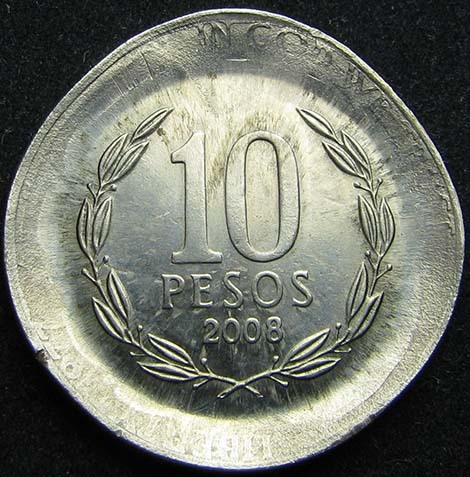 A normal 10 pesos has a reeded edge. This edge on this error is plain with no reeding round the edge. A normal US nickel and a normal Chile 10 pesos share similar diameters. A normal nickel is 21.2mm while a normal 10 pesos is 21mm. The slightly larger nickel was not surrounded by the 10 pesos collar die when stuck.